After what feels like weeks of rain, yesterday was actually a sunny day, but it was HOT. Ok maybe I’m exaggerating a little, but I had gotten used to the cooler temperatures and I was all set for Fall. 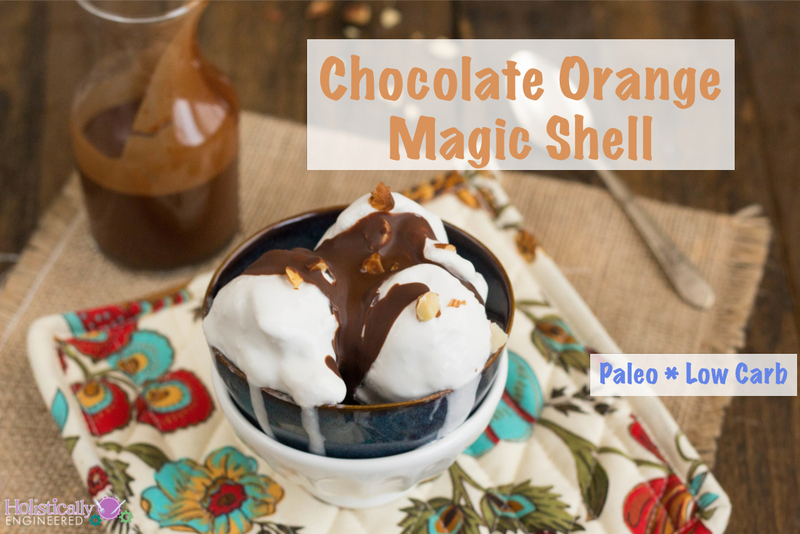 The warmer weather inspired me to make a delicious ice cream topping to help beat the heat. 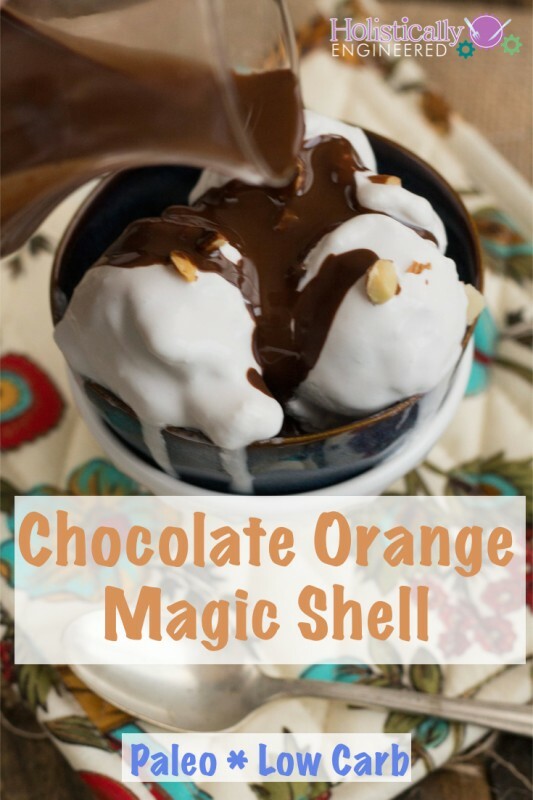 I had made homemade magic shell ice cream topping before, but this time I added some Orange essential oil to help add some flavor without adding any of the carbs. I love that this recipe is so easy…just 3 ingredients! Are you looking for more low carb and paleo recipes with just 5 ingredients or fewer? Good news! I just released my new ebook, called 5 Ingredient Grain Free Desserts. Pick up your copy here. In a small sauce pan over medium-low heat, add the chocolate and coconut oil. Allow to melt and stir to combine. Once completely melted, allow to cool slightly and then add the YL Orange Essential Oil. Pour 1-2 Tbsp over homemade ice cream and allow to harden. I store leftover Magic Shell in the refrigerator and reheat before serving. Whole30-Day 15 Prosciutto Wrapped Cucumber and Slow Cooker "Apples"